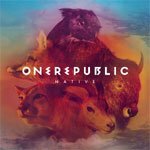 One of the big superhits from the past few years, Counting Stars by OneRepublic actually follows a very simple chord progression that should be manageable for most beginning ‘ukulele players. The original OneRepublic recording is in the key of C#m so if you want to play along, either transpose or use a capo on the 4th fret. Or you can use an app like Anytune to shift the pitch of the recording to match the chords that are shown here. One of my favorite parts of this song is the use of dynamics. From one part to the next there is lots of variation in instrumentation density and volume. Be sure not to use the same strum at the same volume the whole way through. The magic is where a change of pace grabs your attention. Listen to the recording for ideas of where to leave space and stop playing for emphasis. I decided to keep these chords as simple as possible in the easy key of Am. But if you need to look up how to play some of them, you can use these chord charts. Use your thumb to pick the top two strings and then pluck up with your index and middle fingers for the pair of notes on the E and A-strings, returning back to the thumb for the last pick. A low-G string will make the part sound most like a guitar, but a high-g will be fine too. It’s the same note either way, the difference is just which octave the note is in. One is higher, one is lower. Repeat this right hand pattern twice for each chord. Here are more songs like this one.